That's it! 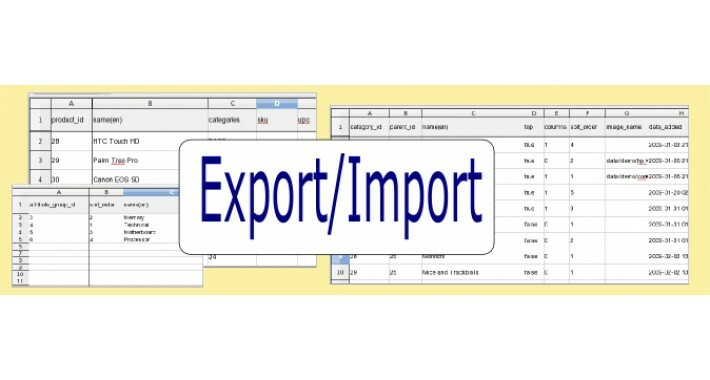 You should now see the Export/Import tool under the menu System > Maintenance > Export / Import (for OC 3.x or later) or under the menu System > Tools > Export / Import (for OC 2.x or earlier). This tool has been successfully tested for standard OpenCart 1.5.x, 2.x, and 3.x versions. Don't use other Opencart versions with this module. This Export/Import Tool is Copyright (c) 2008-2017 by MHCCORP.COM and is made available under the terms of the GNU General Public License Version 3. Please use the regular OpenCart forum for support, not this comments section! See also our FAQ page for more details on how to resolve installation problems and other common errors!